If you are curious what your employees are up to while they are at work, a time tracking software will tell you. It is designed to make employers aware of what their employees are doing while they are at work. The software is designed to take screenshots of the employee’s computer at intervals so that the bosses will know what they are doing during working hours. Time tracking software has been in used for many years by top businesses to monitor their employees. There are many advantages to using this kind of software for your business. 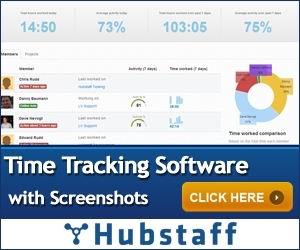 Check out time tracking software advantages below. One of the best reasons to use this kind of software is to improve billing. In some companies it can be hard to bill clients because nobody knows how much time is being spent on a specific project. With a time tracking software users will simply charge or allocate certain hours to a client and it will be computed automatically. It is fast, convenient and makes company billing easier. Since employers can now monitor employees, the later will now be more conscious as to what they do on their computers. Surfing, Facebook and other social media, chatting and watching videos are just some of the activities that are frowned upon during office hours. But when the time tracking software is on, employees are aware that the “bosses are watching” and will stick to work related activities during work. With online time tracking software it is now possible to telecommute. Some companies allow their employees to work from home and with a tracking software companies are ensured that their employees are really working at home. This ensures companies that they are being billed honestly by their own workers when they are working from their homes. Not only will companies know what they employees are up to, they can also track their output. By doing this, employers will know if the right person has been assigned for the job or measure their output. They can use this information to reassign the employee, give rewards or feedbacks which can help them improve productivity. 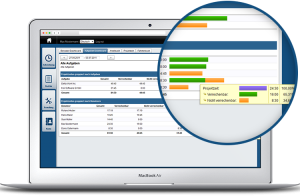 Avoid unnecessary expenses with at time tracking software. Only hours billed will be paid by the company so, there will be no unnecessary charges. An employee must turn on the software for billing accuracy. Only hours charged will the software is on will be paid. Employers can also refuse to pay if they find that their employee has used the time to play games, go on Facebook, watch videos or do unrelated activities to the assigned job. The software ensures that only legitimate working hours will be paid for. Time tracking software is not only a way to track employee’s time spent at work but it can also be used to improve productivity. It makes billing and telecommuting easier. It is essential to many businesses because it can be used as a supervising tool. This software can take many businesses to the next level. Just remember to give your employees regular breaks and rewards for good performance. Will Smartphones And Tablets Make The PC Obsolete?